Valid on 2 Imported Beers (330 ml) / IMFL Drinks with 1 Starter. Valid at Informal By Imperfecto outlet in Janpath. Valid till 28th February 2019. The Imperfecto Bar, Pub, Italian Restaurant, Continental Restaurant in India is opening to the world. The unstoppable growth of its economy has allowed many of its inhabitants to know realities that, until few years ago, were out of reach. 1. The customer will get 2 Imported Beers (330 ml) / IMFL Drinks with 1 Starter at Rs.849 + Taxes. 2. Valid at Informal By Imperfecto outlet in Janpath. 3. Valid till 28th February 2019. 4. The offer is valid for 2 people. 5. Inform the representative at the restaurant about the offer before placing the order. 6. Timings: Mon-Thu: 12:00 PM till 11:59 PM. (a) Dress Code: Club Wear / Smart Casuals. (b) Stag entry is not allowed after 7 PM. 8. This offer will not be valid if the service charge is not paid. 9. No deal can be availed while sitting in the outlet premises. 10. Two women accompany is mandatory for groups of 7 people. 11. The voucher cannot be clubbed with existing offer/promotion. 12. Any Items ordered that are not included in the Offer will be billed separately. 13. The offer is only valid for Dine-in orders. 14. The restaurant will be pre-informed of your arrival. However, you may need to wait to be seated. 15. As per the Government Rules, drinks will not be served to Patrons under the State permitted Age Limit. 16. Users who have not undergone Paytm KYC will not receive cashback in their wallets. 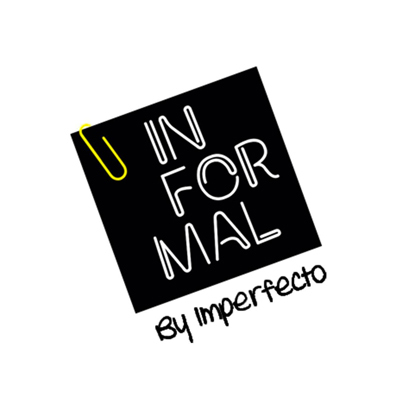 Visit the Informal by Imperfecto outlet to redeem the offer. Open the voucher from the 'My Orders' section of the Paytm app or via mail (registered email id). Share the voucher with the cashier at the time of payment.